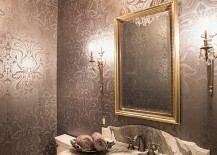 Over the past few weeks, we have showcased the resurgence of wallpaper and how it has once again found favor with both homeowners and interior designers alike. 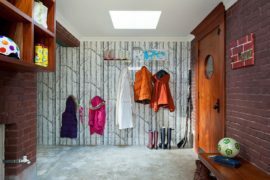 Be it the beautiful bedroom clad in charming Woods Wallpaper or the use of wallpaper in kitchen, there is simply no place where wallpaper is forbidden anymore. 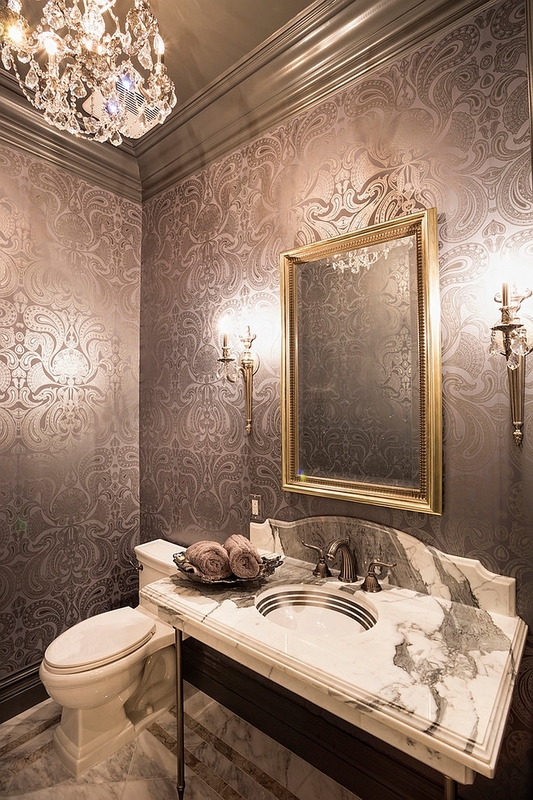 And the powder room is the perfect setting for trying out a dramatic wallpaper addition that wows your guests and makes a big visual impact. 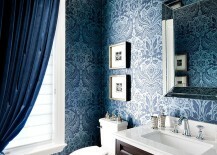 Many powder rooms are no larger than a closet, making them perfect for the dazzling wallpaper experiment. 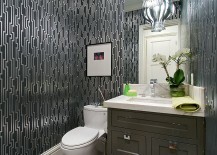 Since the powder room is often the smallest room in the home, it allows you to use wallpaper in an extensive fashion without any inhibitions. 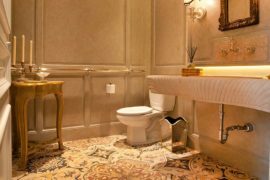 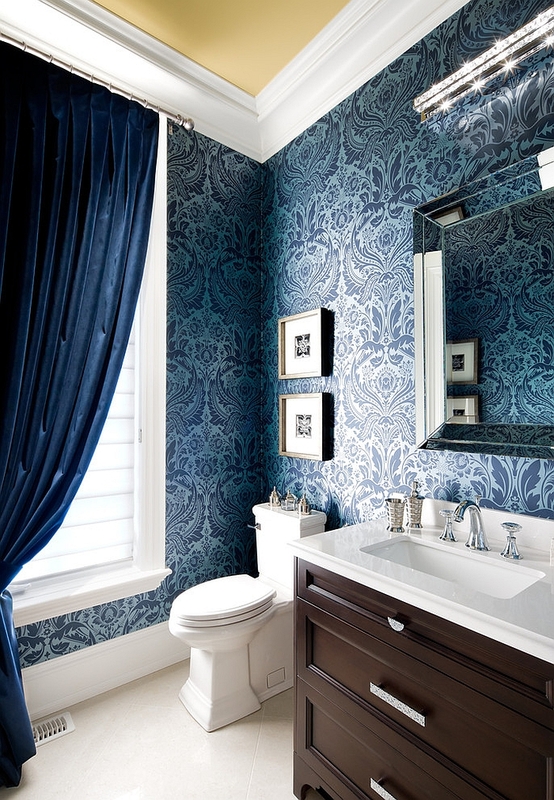 From the colorful to the classy and from the audacious to the understated, here is a look at 20 of the very best powder rooms draped in wallpaper! 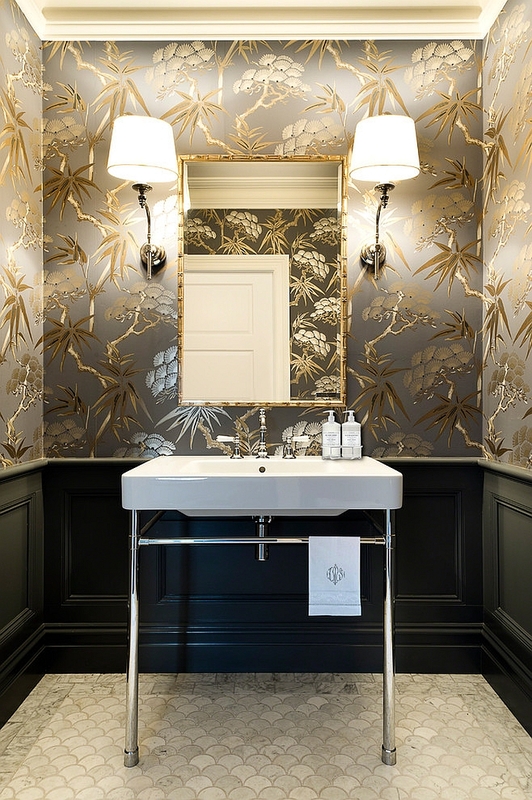 While contemporary interiors shy away from the use of expansive color, the wallpapered powder room is the obvious and daring exception. 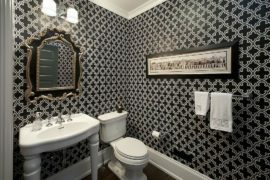 You can use pretty much any color of your choice, and with wallpaper, there is the added advantage of inviting pattern into the room. 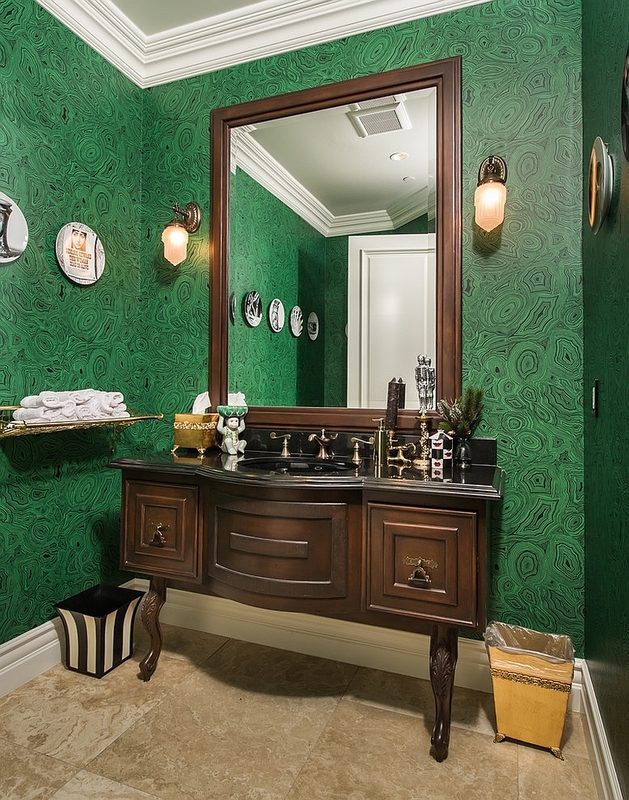 A selection like the exquisite Fornasetti Malachite Wallpaper in green or regal golden yellow wallpaper can fill the room with delightful color while still keeping it sophisticated. 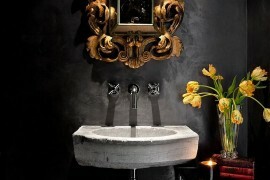 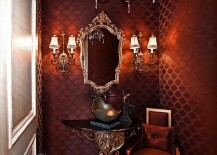 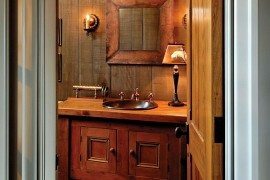 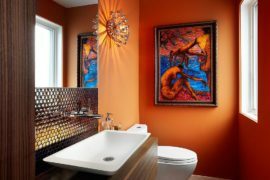 Powerful colors work exceptionally well in powder rooms with retro, Mediterranean or bohemian styles. 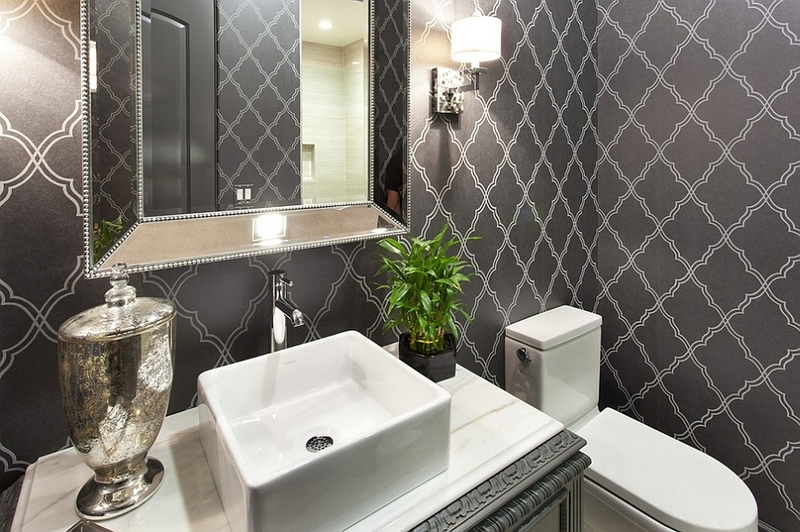 The hot trend of the season is to combine beautiful metallic accents with shiny gold and silver surfaces in order to elevate the ‘glam factor’ of the space. 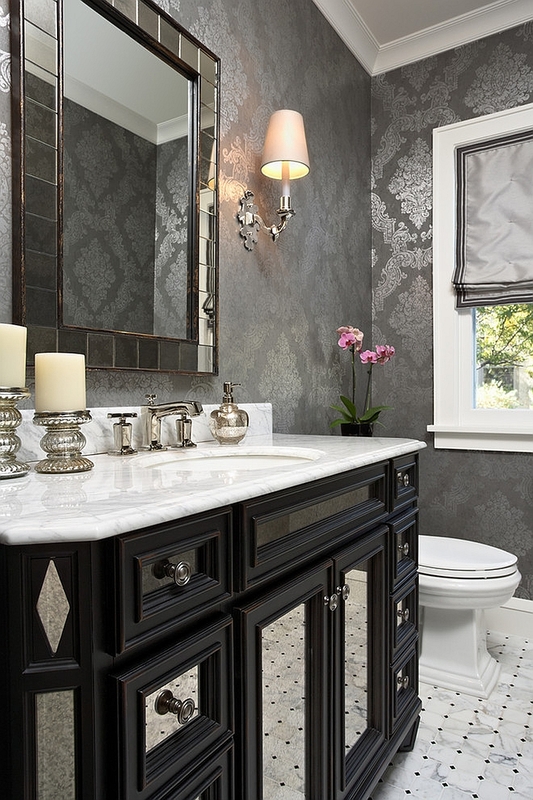 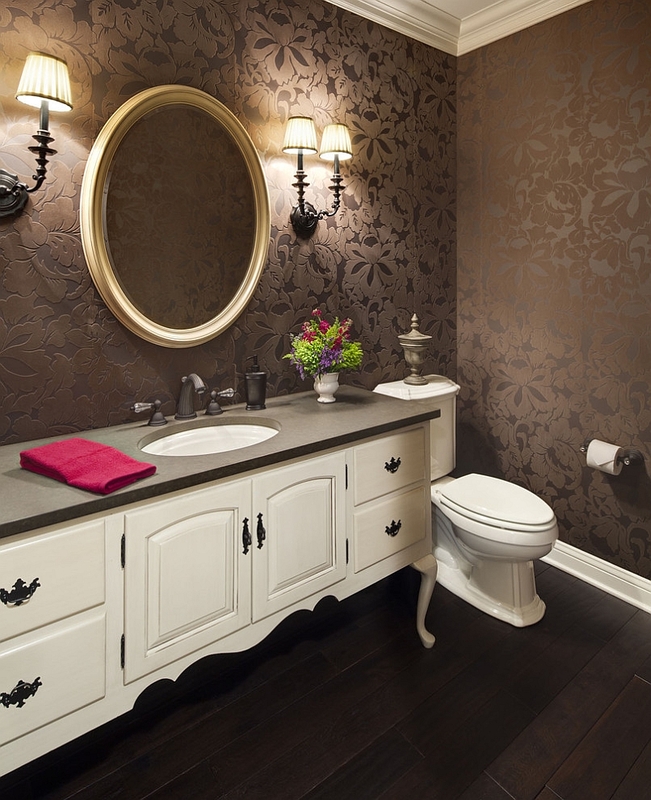 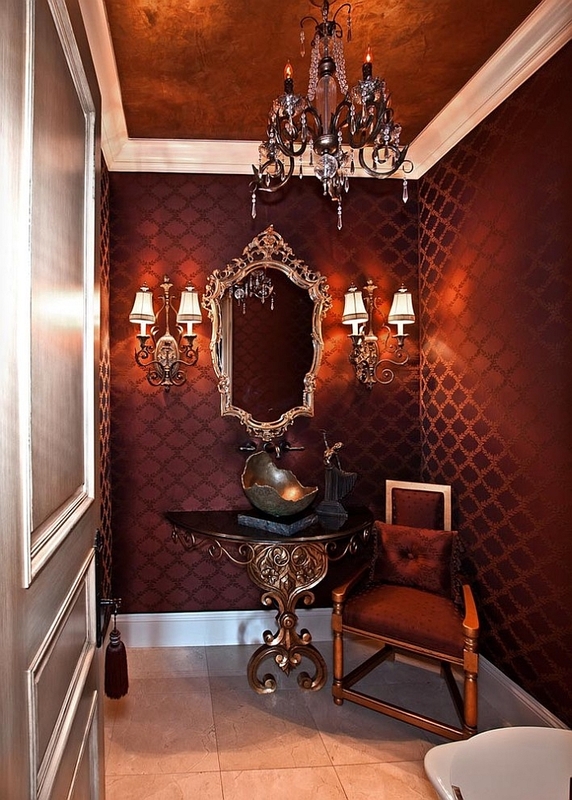 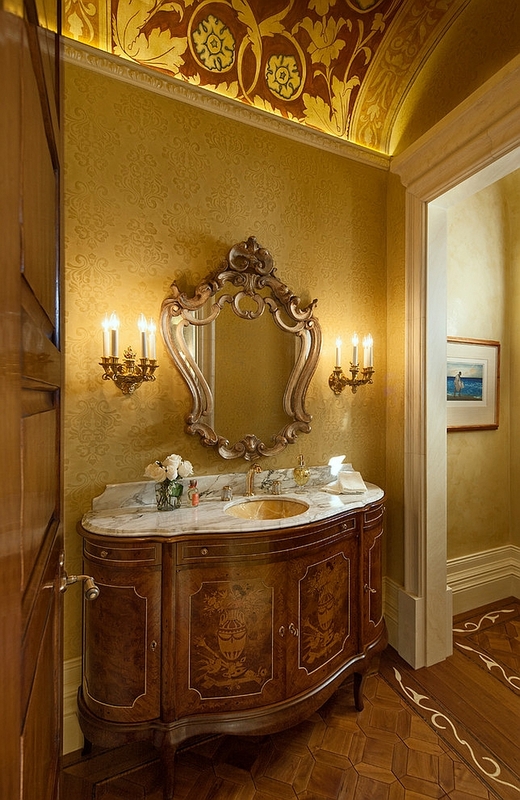 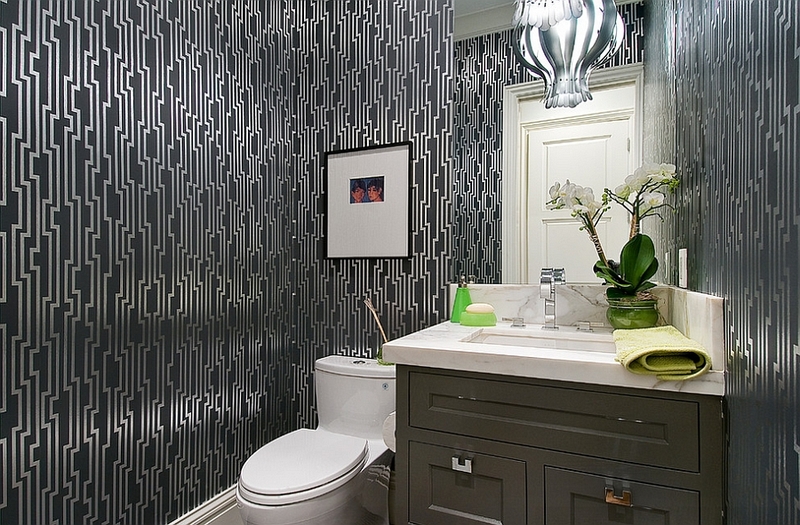 Follow this style statement while choosing the powder room wallpaper as well. 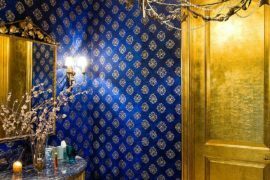 There are plenty of wallpapers currently on offer that not only celebrate the glitter of gold and silver, but also bring a luxurious, velvet finish. 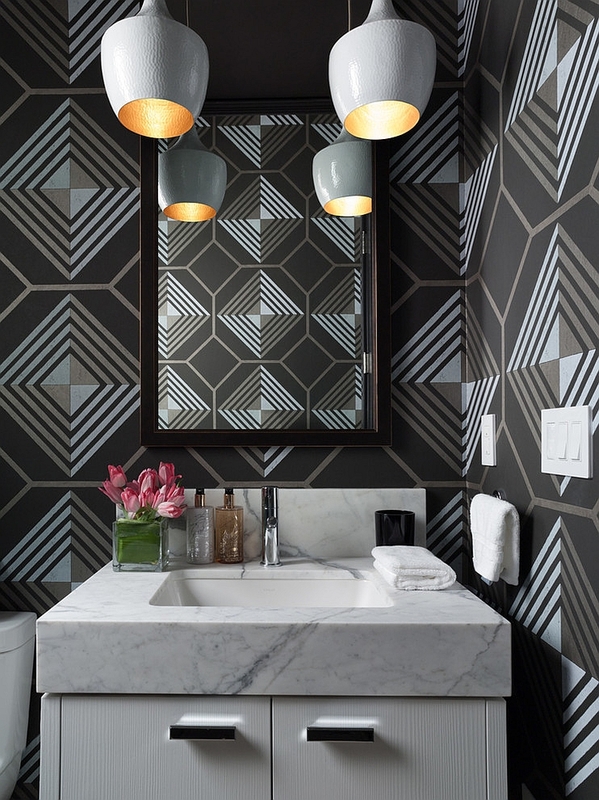 Once again, the classic prints and patterns make the tiny space even more exciting, while wallpapers with more modern or retro patterns give the powder room a surreal appeal. 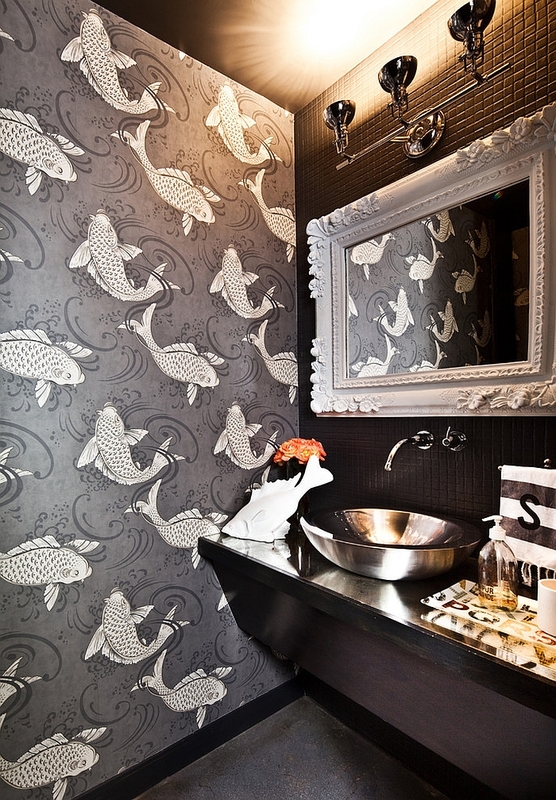 Do you want to add some koi fish to the powder room walls? Maybe you prefer the classic and timeless black and white look? 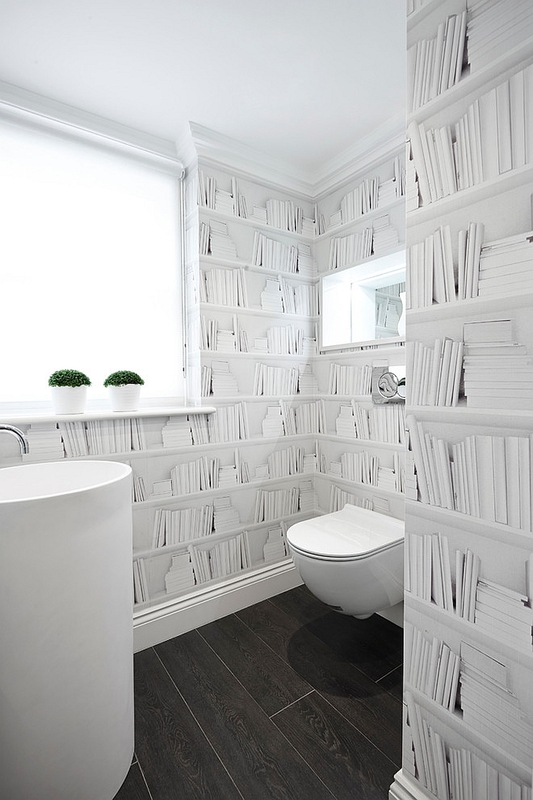 Or are you one of those guys who simply cannot do without books in the bathroom?! 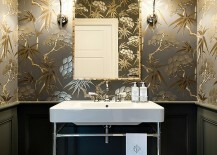 Well, wallpaper can bring all these and a whole lot more to the powder room with ease. 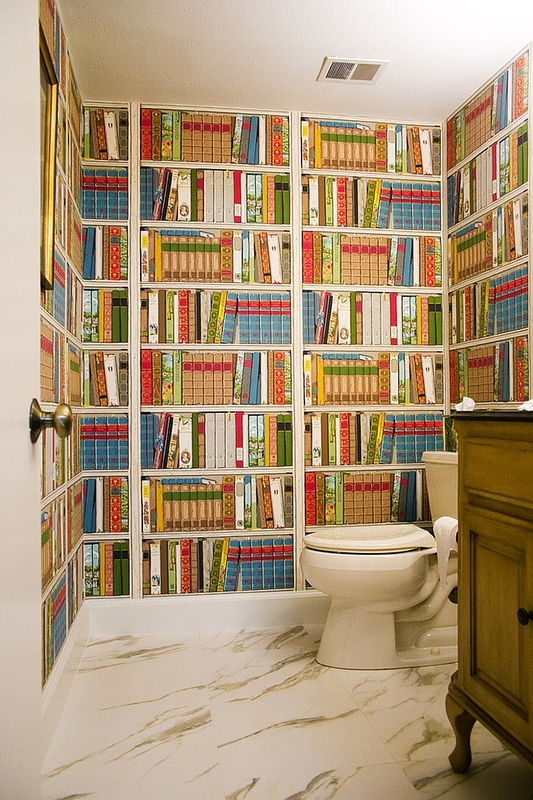 In fact, the library-inspired wallpaper is quickly becoming one of the most popular choices for small powder rooms and bathrooms. 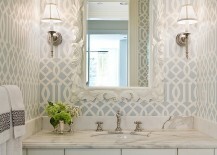 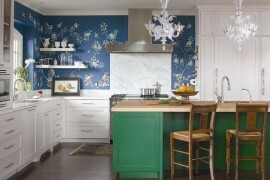 Those who prefer more elegant and subtle themes can try out nature-centric patterns and ones with abstract designs. 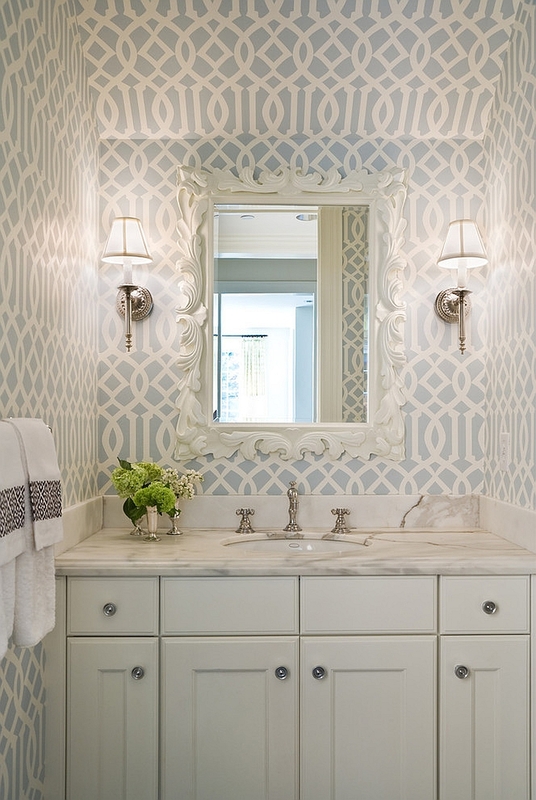 Once you have the wallpaper sorted, do not forget about choosing lighting, mirrors and vanities that complement and add to the overall look. 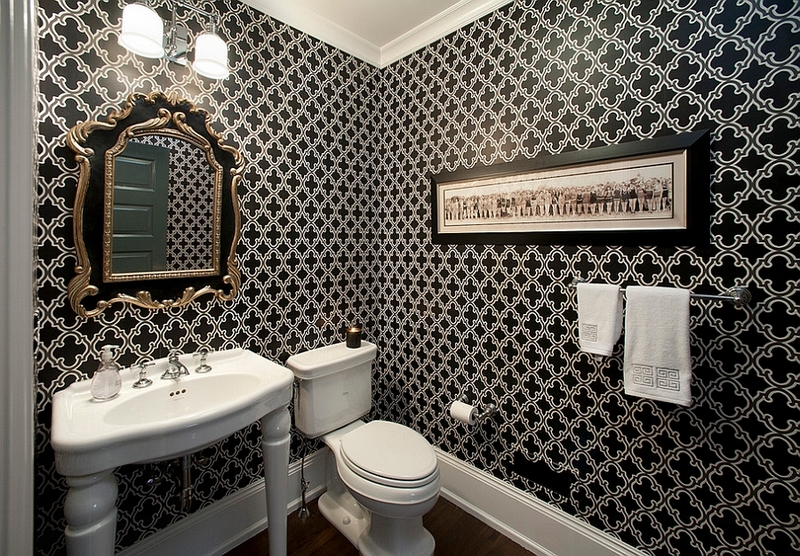 Go bold with powder room wallpaper, and maybe it will inspire you to take the wallpaper beyond this tiny space!